In 1911 the Chinese government banned the tradition of foot-binding, described as a cruel practice for the sake of beauty by body modifications imposed on young girls since 10th century. Since the ban of the practice, number of women affected by this tradition declined and they are still a few aged of 80 to 90. Looking back in history, this extreme practice also occured in the traditions in a few other countries in the world. In general, this tradition was usually practiced by a number of middle and upper class women in China before the 20th century. At early age of 5 to 8, girls were required to fold four toes under the sole of their feed before being bound. Cloth was used to bind the feet then sewed for streamlining the folding leg to prevent the toes from growing, thus hampering the growth of the four toes and keep them together with the soles of the feet. In Chinese culture at that time, the symbol of small feet was considered the beauty of the women. In fact, it was believed to increase sexual passion of the men. 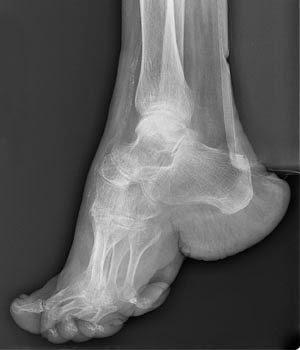 In order to archive the honor in the midst of society, they were willing to face the problem of a broken bone in their feet and the infection that occured during the binding process. animal blood to soften the skin of the feet. Afterwards they squeezed back the feet towards the sole till toes were broken. When the shaped was fixed, they tied them with a cloth. The bond would be open every month and washed and tied again to finally harden. Several witnesses of the cruel practice still exist. They often talk about the question of the pain in order to look beautiful. Shrinking the women feet was to them like a lotus flower, the more beautiful a women would be. "Although it looks very uncivilized, but this is the only way for women to find the time matched pair," Jo Farrell said, a photographer who documented the scene in the middle of the shrink female feet operation. The legs showed gruesome tradition and culture which they must undergo if it was to be seen as a good women. In fact, this tradition is no different with the beauty today, such as installing the breast implant, injection for whitening skin, sliming, and so on.